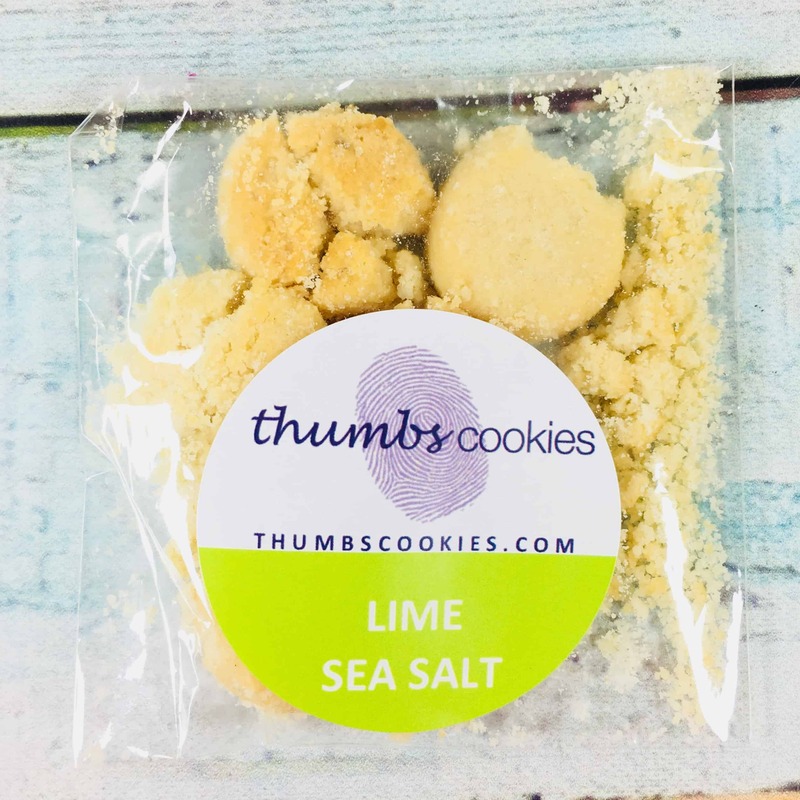 Thumbs Cookies in Lime Sea Salt ($8.33 Full-Size 3.6 oz.) 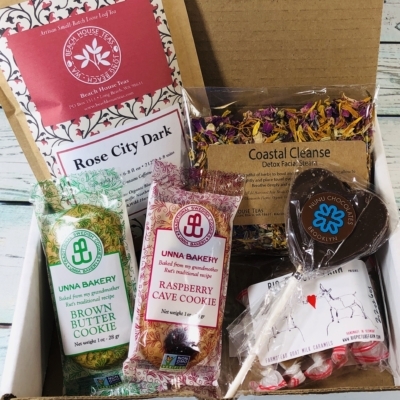 These are just little shortbread cookies with a homemade flavor and good crumble. I couldn’t really get a picture of the cookies because they are practically dust and I just dumped the pouch directly into my mouth. Salty and a little tangy, and very good! No size given but it’s really just a couple of bites in this bag. 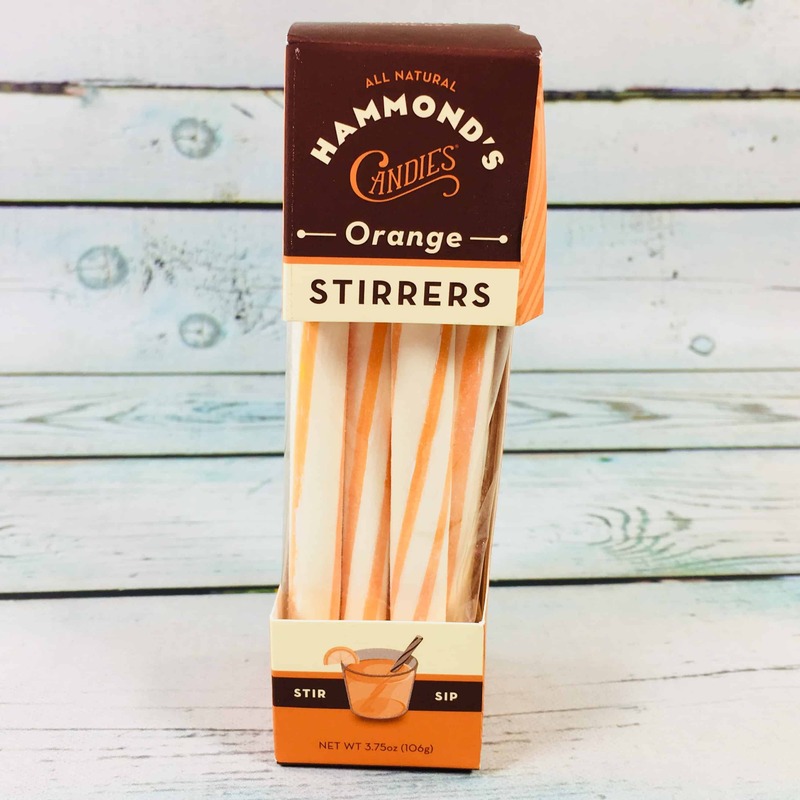 Hammond’s Candies Orange Stirrers ($7.48) You know those little round candy cane puffs that practically melt when you put them in your mouth? These are sort of the same thing, but they taste like orange candy instead of mint. I guess you put them in your iced tea or other cold drink and then sip the drink through the stirrer, although there’s not really a hole in the middle like a straw. I think I’ll just eat them like candy. 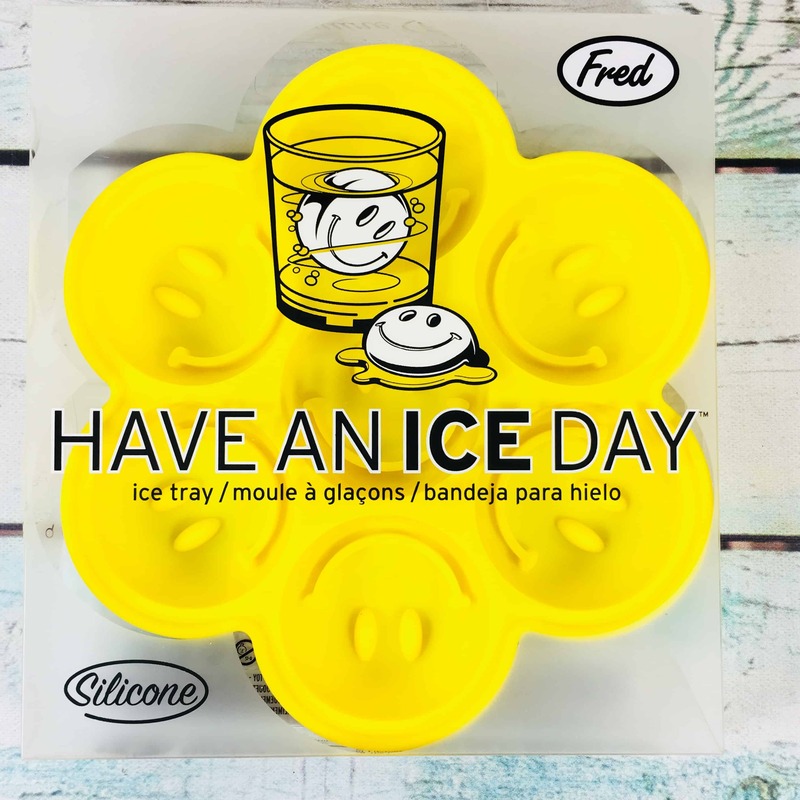 Fred Silicone Have An Ice Day Smiley Face Ice Tray ($9.31) I think this is a cute idea if you have kids around who might like to have specially shaped ice cubes. Just pour water inside and freeze flat. Or use it to make juice pops or even as a soap mold! 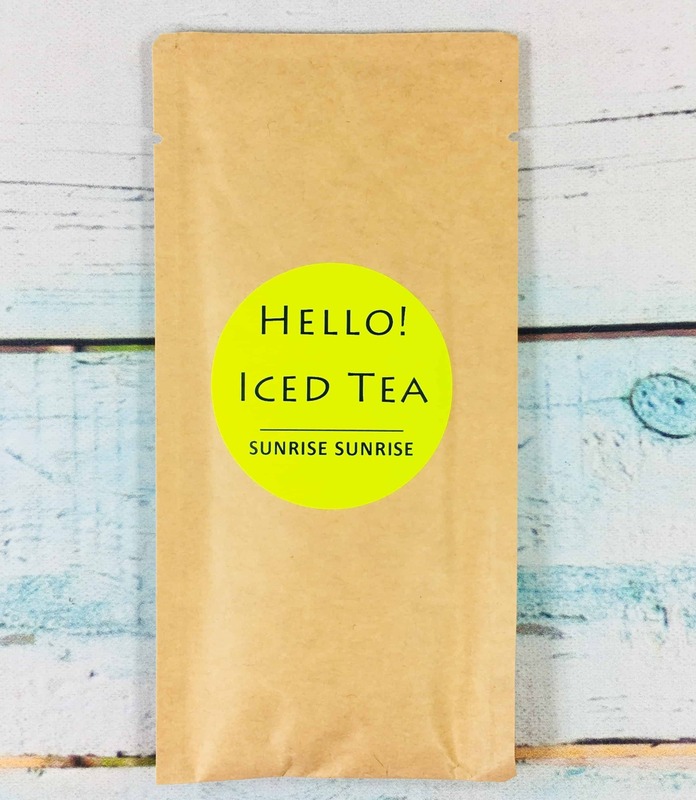 Story Of My Tea Iced Tea in Sunrise Sunrise ($3) I love that the Story Of My Tea website gives food pairings for their teas! I only have so much room in my fridge (and stomach) for iced tea so all three of the smaller teas will be steeped eventually. 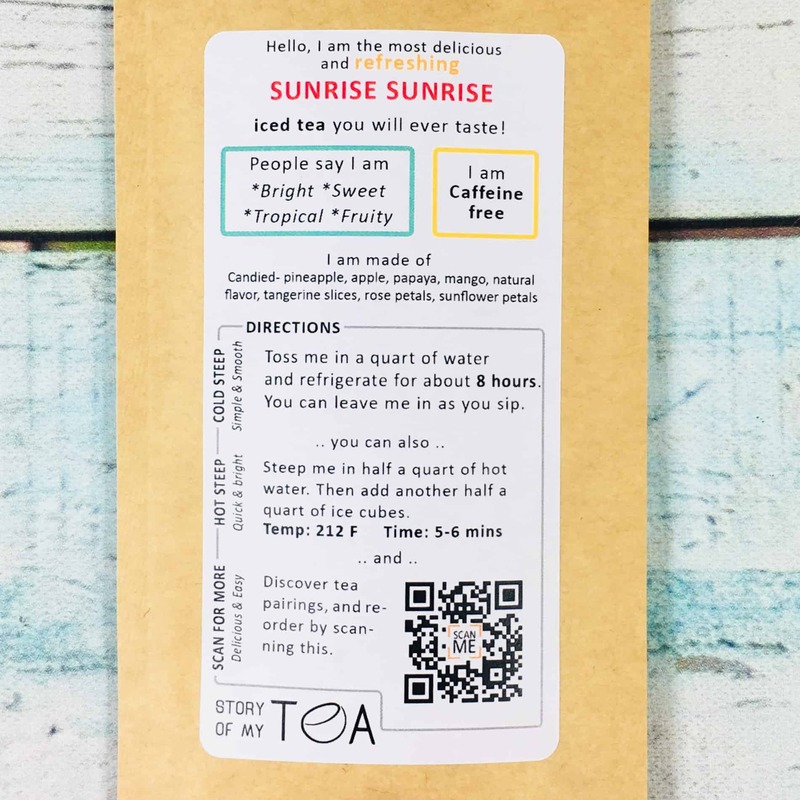 Sunrise Sunrise doesn’t have any tea in it at all so you don’t have to worry about caffeine and can enjoy this flavor any time of day. 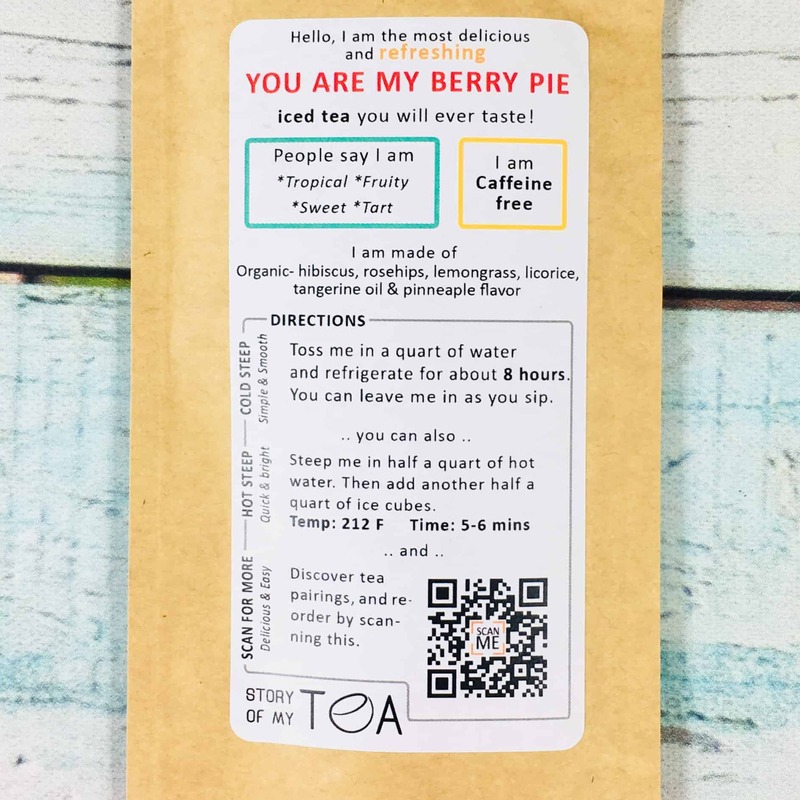 Story Of My Tea You’re My Berry Pie Iced Tea ($3) Here’s another herbal tea, safe to drink any time you wish! 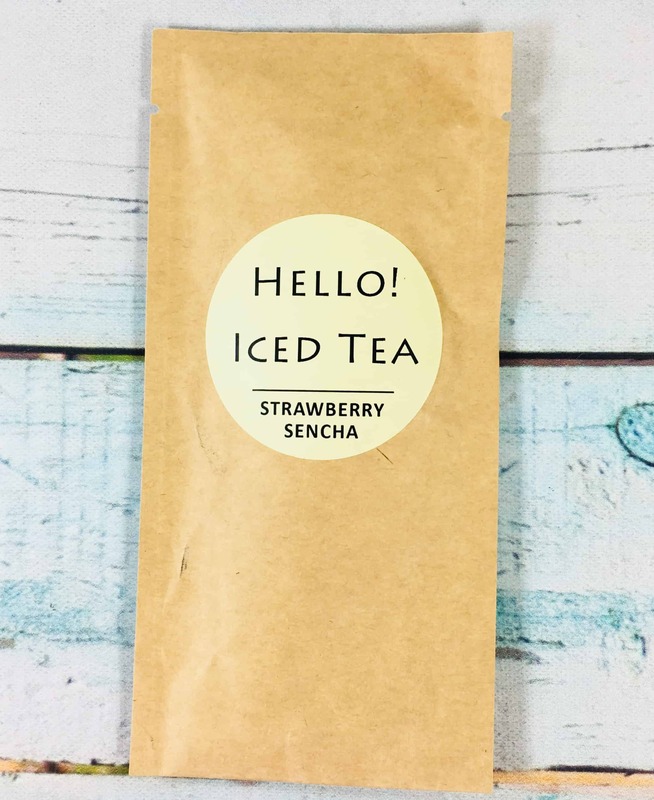 I love fruity teas and can’t wait to give this a try. I appreciate that instructions for all three of these teas were given for both cold steep and standard steeping methods. Story Of My Tea Iced Tea in Strawberry Sencha ($3) has green tea in it so avoid drinking too late in the day if caffeine is a concern. It’s worth noting that if you plan on steeping this with hot water make sure to keep it under the boil to avoid making your tea bitter. 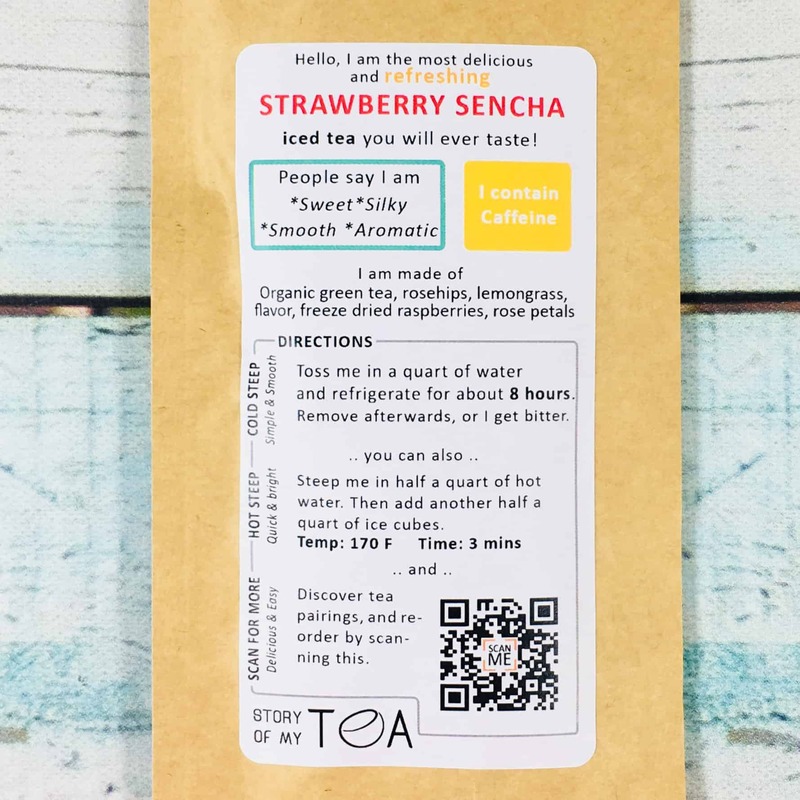 The fruit teas shown above can handle a full-boil. All three of The Story Of My Tea teas are in one-time use bags. The bags were kind of opaque (unlike the bag below) so I didn’t take a picture of them because you can’t really see anything. 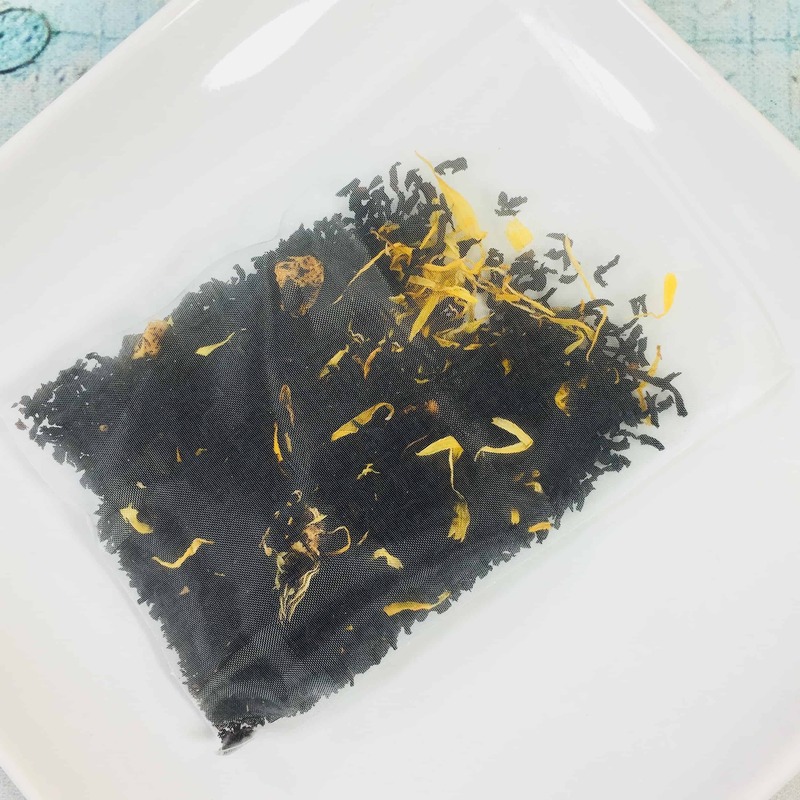 Also, if you’re not really into iced tea then I would suggest opening any of this month’s teas and measuring one teaspoon of tea to each 6-8 ounce cup of water if you want to turn them into hot tea. Store the remainder for future cups. 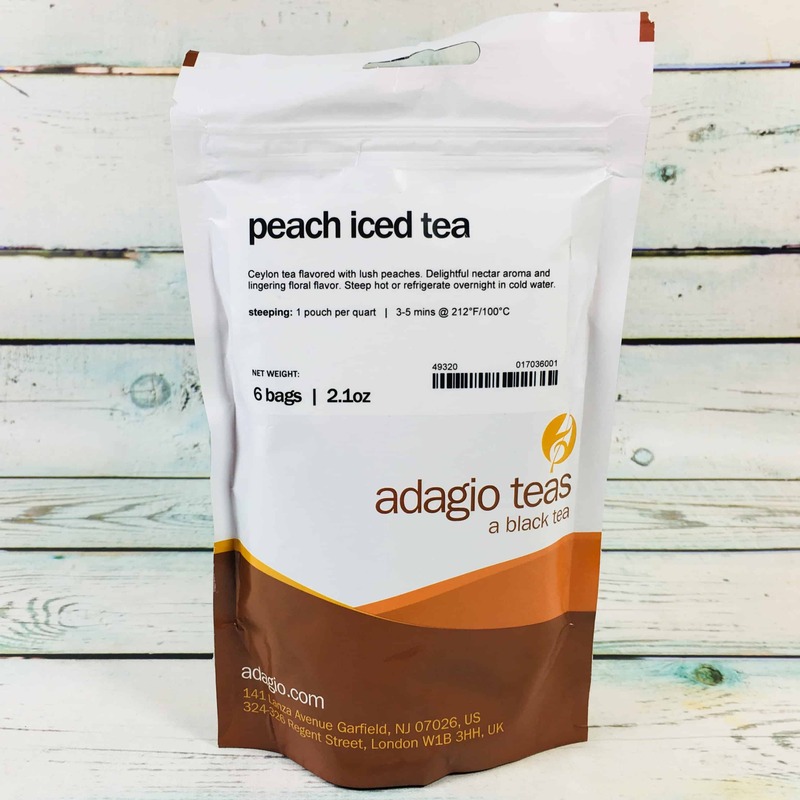 Adagio Teas Peach Iced Tea ($7) With the exception of black iced tea at Chick-Fil-A and McAlister’s Deli, I make my own iced tea. I even make my own peach iced tea. 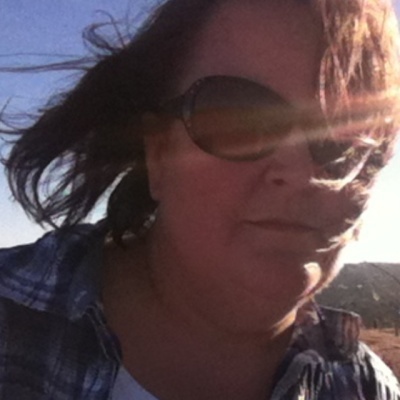 The flavored ones in restaurants or Sonic have citric acid and fake flavorings so I skip them entirely. This stuff was the real deal and smells amazing. I just brought 4 cups of water to a boil and added a tea bag (there are 6 in the bag) and let it steep for 5 minutes. You could also do the overnight cold-steeping method but I went old-school this time. It was delicious and I made sure to add sugar while the water was still hot so that it would melt completely, that’s the southern way to make sweet tea. 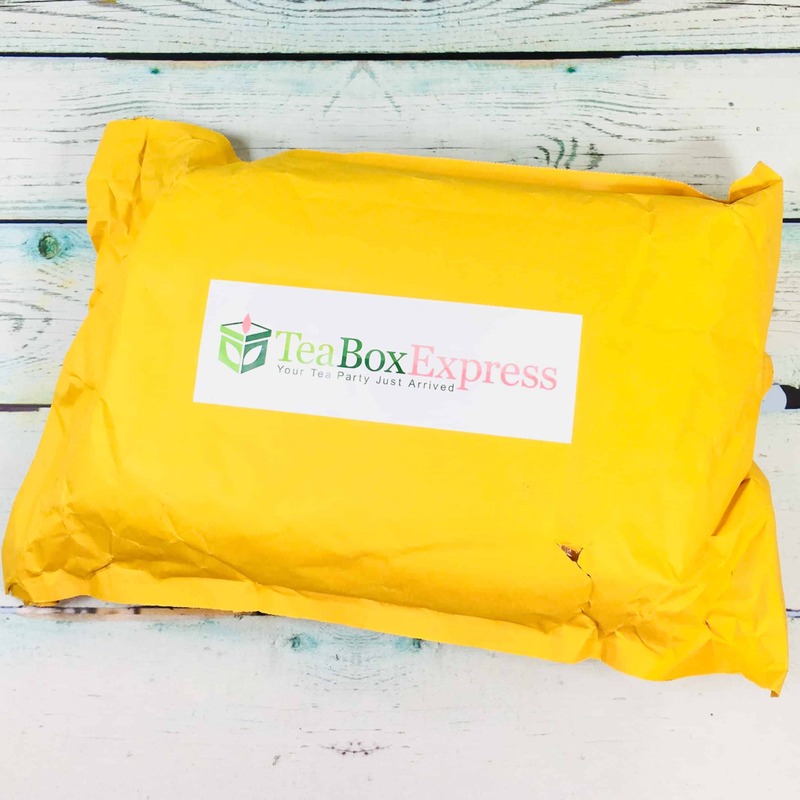 I am always delighted with my Tea Box Express, they tend to send interesting teas and delicious snacks along with cute tea accessories. 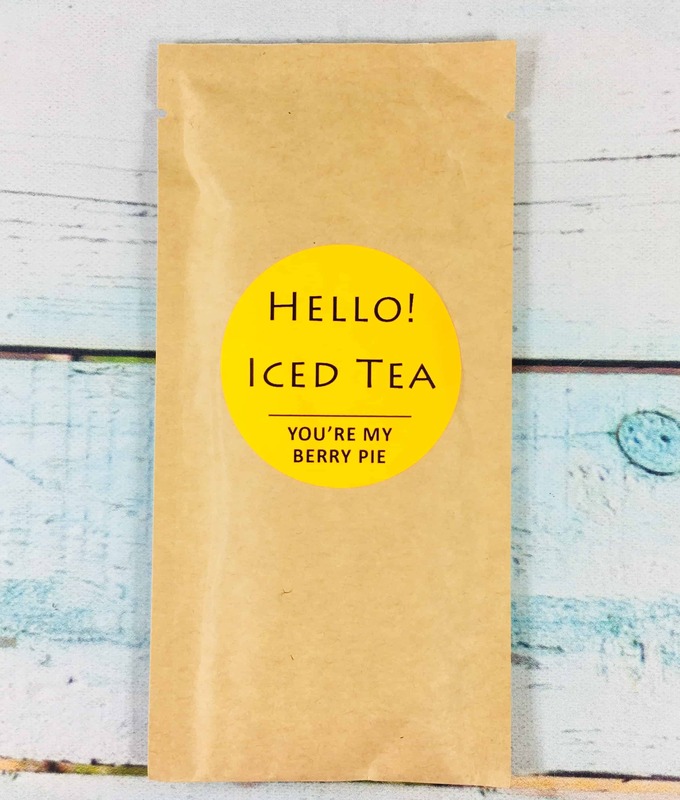 My favorite item this month was the Peach Iced Tea, which would make four big mugs of peach hot tea if you can stand to wait until the weather gets cooler. 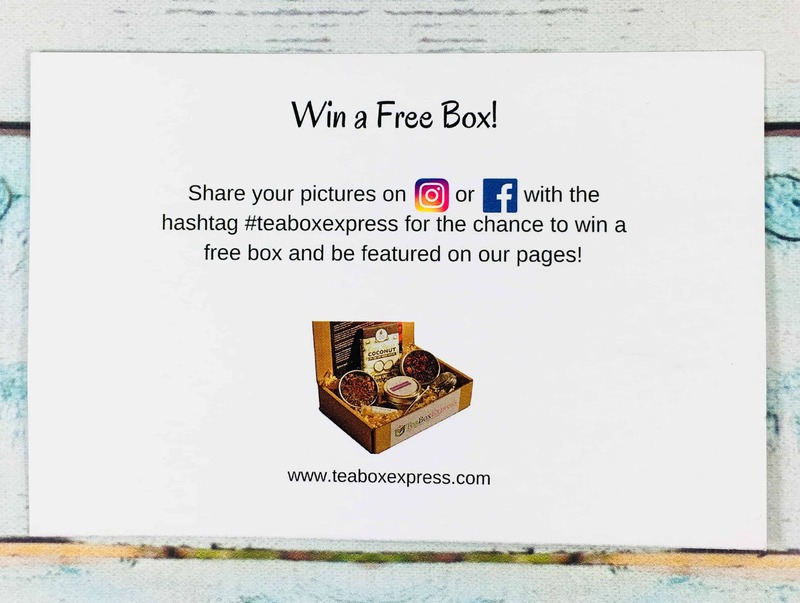 I haven’t tried the other three teas yet but I have tried the brand before and look forward to enjoying them in the next few weeks. Kim, I think this may have been the first time I’ve tried Adagio but I hope to see it in a future box, it was delicious! 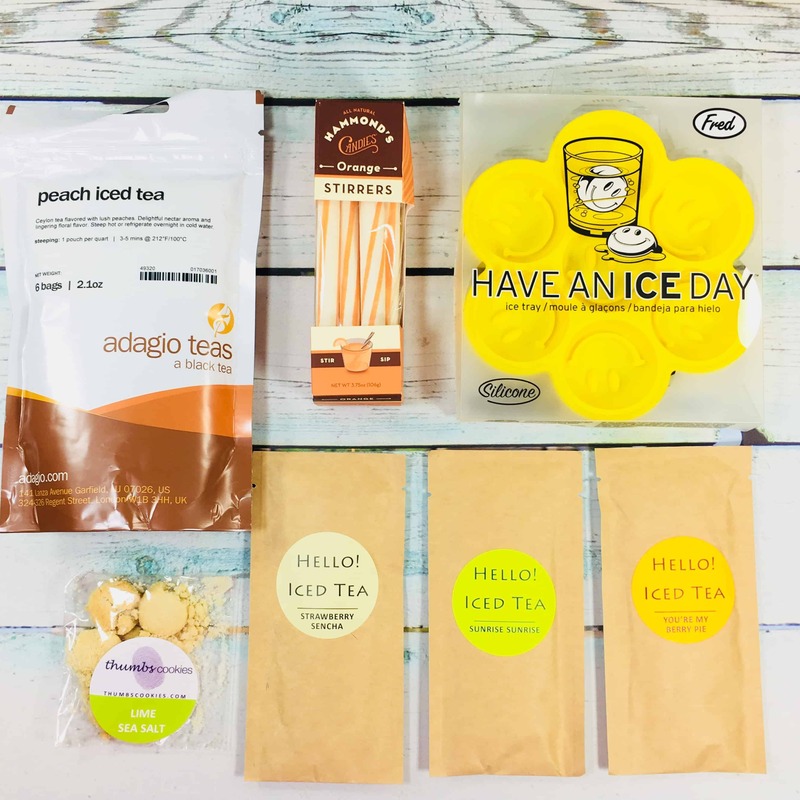 adagio is my favorite purveyor of tea. 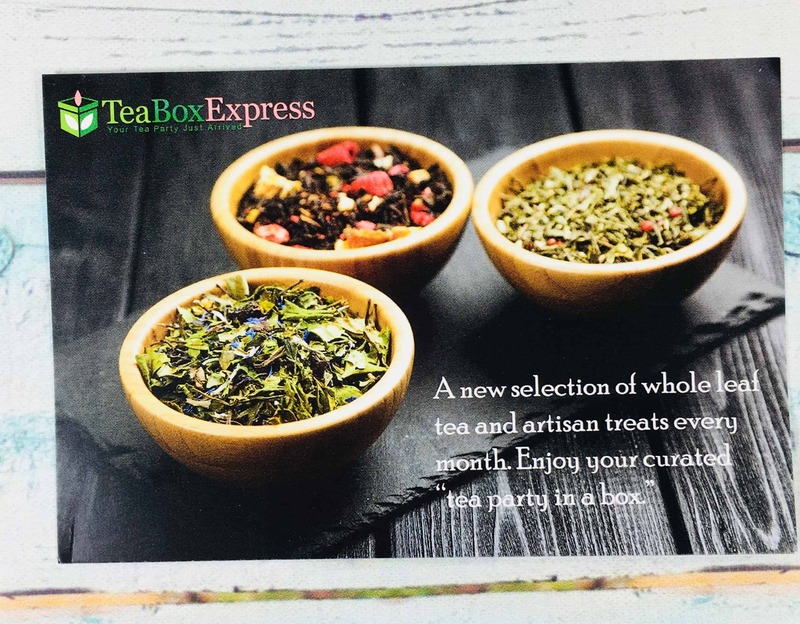 They have such an amazing selection and allow you to create your own blends or purchase customer created blends. Such fun.